Have been seeing a few cabbage white butterflies here at home but been hanging out to see other butterflies. Yesterday, my husband spied this beautiful one, that we think may have been recently hatched. 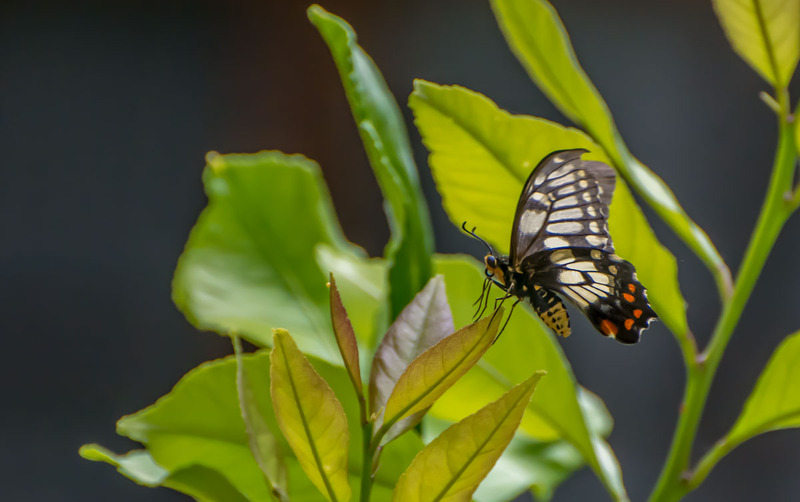 It’s a Dainty Swallowtail Butterfly, sometimes referred to as a Citrus Butterfly. They hatch in citrus trees and this one was hovering around and over our grapefruit tree which made us think that maybe it had recently emerged. It was fluttering so fast and wouldn’t stay still but I had my camera on high shutter speed so managed to get a few reasonable shots. This one was the best. Is it beautiful?